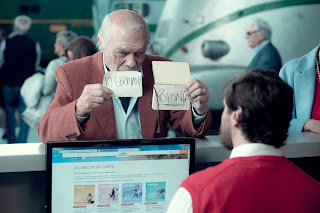 His destination is a place that must not be named, a place where such a profound horror occurred during World War II that – instead of saying Poland aloud – Holocaust survivor Abraham Bursztein (Miguel Ángel Solá) prefers to write it on a sheet and hold it up for the person with whom he's communicating... and even then only when he must. Refusing to give both the word or the place power, Abraham, we discover is only going there to keep a promise to the Christian man who saved his life during the war. 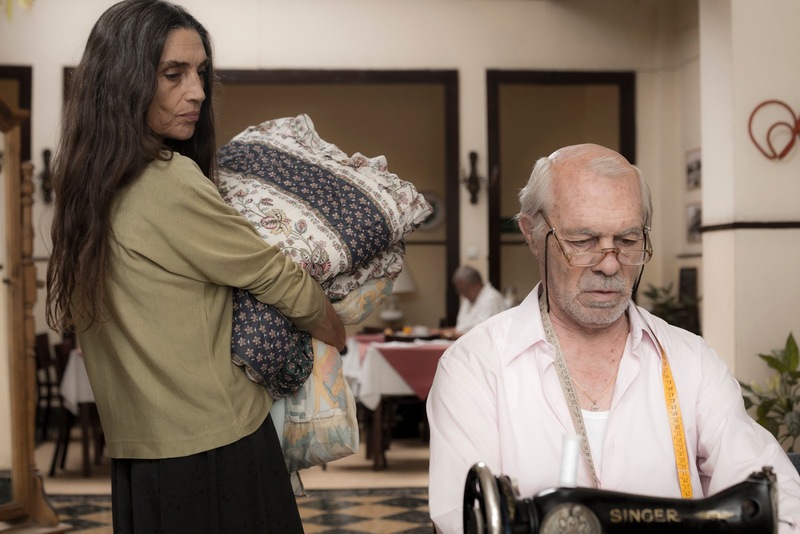 Running away from Argentina the night before his children are scheduled to move him into a retirement home, in this crowd-pleasing, award-winning film festival favorite from writer/director Pablo Solarz, Abraham embarks on a journey to revisit his past with the new friends he meets along the way. Taking the long way around isn't just one of the themes of the movie, as it turns out that's precisely what writing the script was like for Solarz. Having penned his first draft of The Last Suit back in 2004, after giving the rights to a film company before it reverted back to him five years later, he wrote it a few more times, revealing in the production notes that, "After all of this, the last version is not... so different from the first. Sometimes it is necessary to go a long way away to connect the emotions that moved us at the beginning." 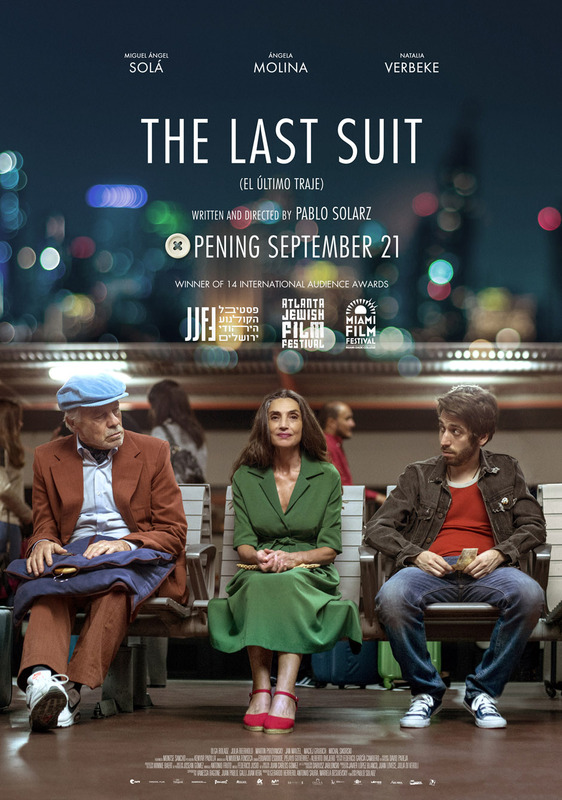 A deeply personal work, Suit was inspired by how history affects the generations from the way that his paternal grandfather would also refuse to say Poland aloud to "the ignorance of my parents about what had happened to their people," and his childhood "near obsessive curiosity...when you are forbidden to speak about certain subjects," that eventually led to him reading about another survivor's quest as an adult. 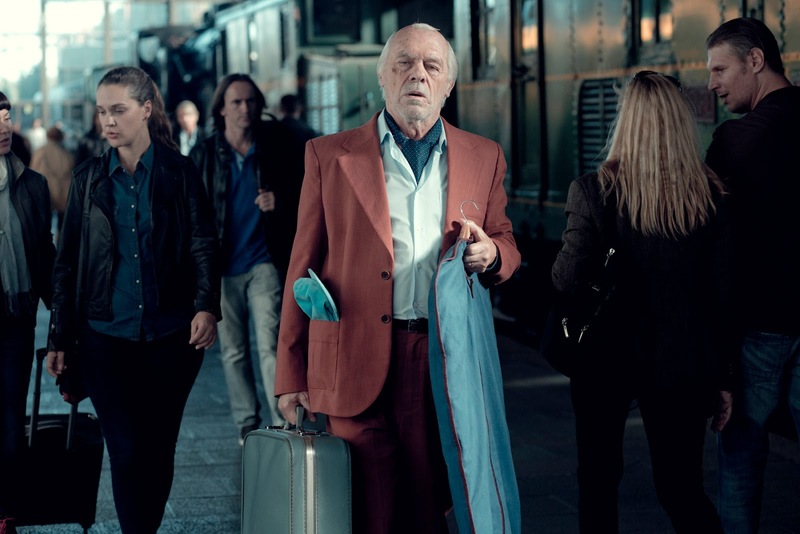 Wanting the audience's connection to the emotions of the film's lead character to take precedence over the plotline, Solarz's confession that he "was not interesting in unfolding a series of events," is evident in the film and it's what sets the unique work apart. Alternating between heartbreaking flashbacks and silence to moments of humorous interactions with fellow travelers, including a younger man named Leo whom he intentionally annoys at first sight before coming to his rescue at the security checkpoint, The Last Suit follows in the tradition of other first rate Latin American "road" movies where the essence is in the journey rather than that nameless destination. And because he chooses to move forward and continue on his mission where others would get sidetracked by misfortune or as in Abraham's case, the opportunity to reconnect with a daughter with whom he lost touch following a blow to his ego, The Last Suit is less episodic than other genre works by design. Yet while the final cut feels like it's missing the rest of a key scene involving his daughter Claudia (Natalia Verbeke), we're able to deduce at least the outcome of the rest of their interaction based on Abraham's next step. A bit coincidence heavy in places as he never fails to meet precisely the right person at precisely the right time, in the end we're so moved by his plight that we're happily willing to overlook it. 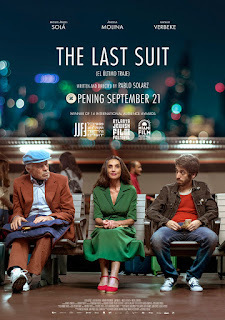 The Last Suit is the second film I've seen from Solarz following his breakthrough script for Carlos Sorin's acclaimed 2002 award-winner Intimate Stories, which chronicled the plights of three individual characters. It seems that Solarz is at his best when he charts the journeys we all take, including those that bring us back to a place we – like Abraham – might not be able to mention aloud, from where he fled following the war, only to return near the end of his life in order to keep his word to an old friend. Thus, Solarz reminds us that even in a place where Abraham experienced humanity's worst, it's only because somebody in the same location represented humanity's best that he is the man we see traveling today.